Microsoft debuted the Windows 10 on ARM platform back in December last year, showcasing always connected Windows 10 notebooks powered by Qualcomm’s Snapdragon chipsets. At the time, Microsoft announced three notebooks – the Asus NovaGo, the HP Envy X2, and the Lenovo Miix 630 – powered by the Snapdragon 835 SoC. 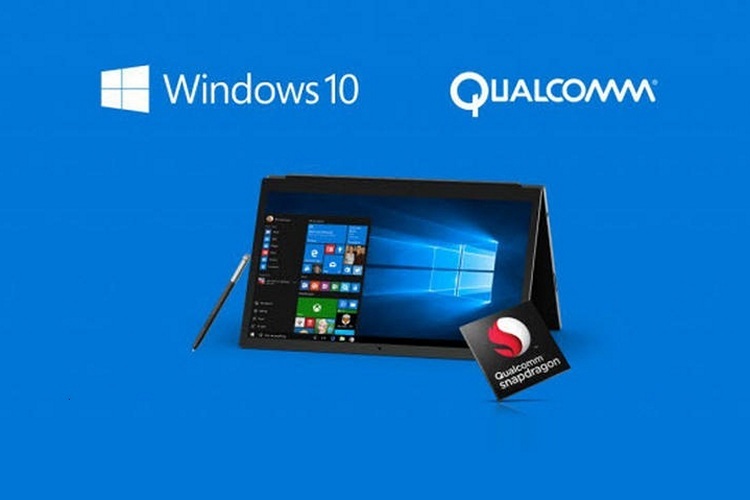 Since then, Qualcomm and Microsoft have been making continuous efforts to push the platform even further and the next generation of Windows 10 on ARM PCs, powered by the Snapdragon 845 SoC, are just around the corner. According to recent benchmark results discovered on Geekbench, the Snapdragon 845 powered Windows 10 PCs will be capable of delivering up to 50 percent better performance than their predecessors. 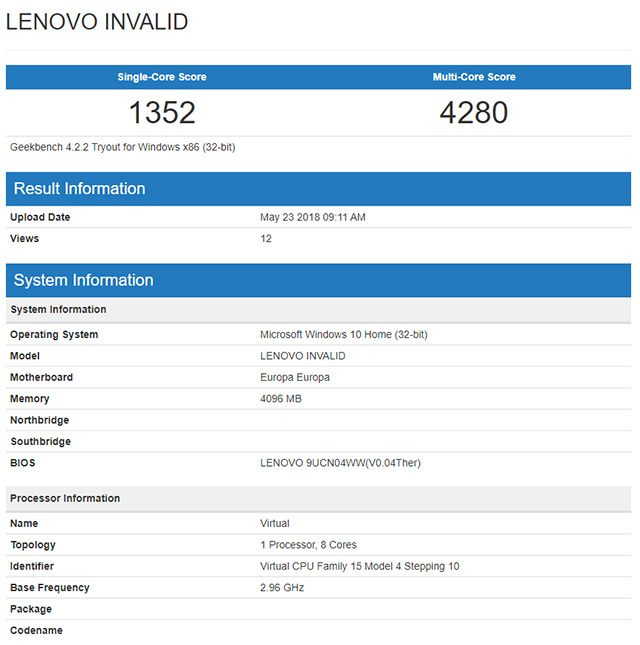 A Lenovo-branded notebook was recently spotted on Geekbench featuring a Snapdragon 845 SoC and just like the mobile counterpart, the chip within the Lenovo notebook comprises of four Kryo 385 Gold cores clocked in at 2.80GHz and four Kryo Silver cores clocked in at 1.70GHz. 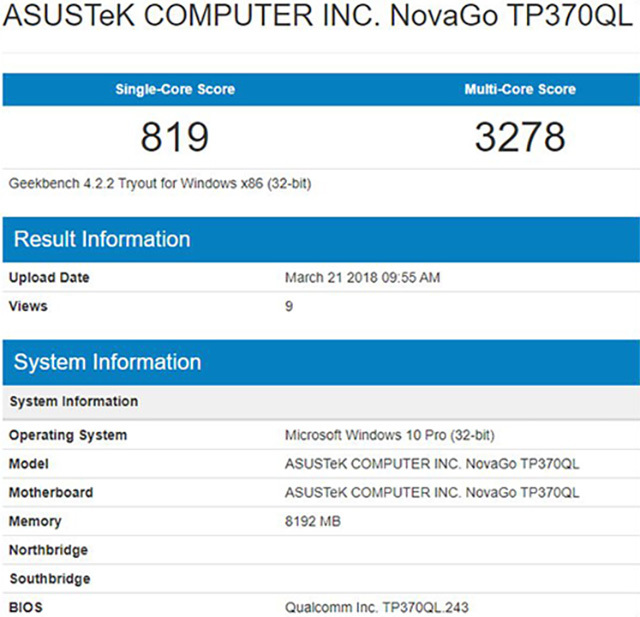 Unlike the Snapdragon 845 chip found on smartphones, which is clocked in at a maximum of 2.80GHz, the chipset on the Lenovo notebook seems to be running at 2.96GHz. This suggests that the chipset included in the notebooks will be unlocked to their full performance potential in order to deliver slightly better performance than their smartphone counterparts. Another benefit is that the notebooks will offer more room for better thermal management, therefore allowing manufacturers to push the chips to their full potential. The benchmark results also highlight that the Snapdragon 845 powered notebook has a single core score of 1352 and a multi-core score of 4280. On the other hand, the Asus NovaGo, which features a Snapdragon 835 chipset, is able to manage a single core score of 819 and a multi-core score of 3278. Compared to the unnamed Lenovo notebook, the Asus NovaGo is 39 percent slower in single core performance and about 24 percent slower in multi core performance. If the leaked benchmark holds true, the upcoming Snapdragon 845 powered notebooks will have a sizeable lead over older Snapdragon 835 powered notebooks. It’s also possible that manufacturers might be able to improve the drivers by the time of release and further improve the performance of the upcoming notebooks. As of now, neither Microsoft nor Qualcomm have released any information about the upcoming Windows 10 on ARM notebooks powered by the Snapdragon 845 SoC.